Debt By A Thousand Cuts: Holiday Waste! This blog post all started with me throwing two gingerbread houses in the trash. Every year our kids go to this annual holiday party and make cute little gingerbread houses. The kids enjoy a few minutes of fun, and then we take our gingerbread houses home after the party. In a day or two they “mysteriously” get thrown in the trash. I feel really wasteful when I do it. Would you willingly throw money into the trash? Most people wouldn’t, and I feel like that’s exactly what I’m doing. I suppose we could eat the gingerbread houses, but that would ultimately mean a greater waste from the resulting dental bills. 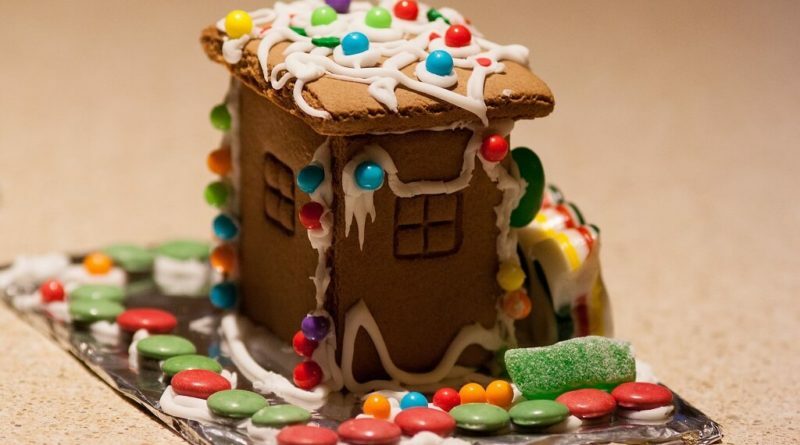 It’s not just gingerbread houses either — Every year Mrs. Tako and I get invited to a bunch of holiday parties, and all the waste makes us feel pretty uncomfortable. When it comes to Christmas time, people are throwing away money left and right. Before you declare me a Scrooge and stomp-off in protest of me attacking your beloved Christmas holiday, just hold on a minute! We love a good Christmas holiday here in the Tako family (as much as the next person), but it’s really all the waste that bothers us. We didn’t reach Financial Independence by wasting money, and when it comes to the holidays I feel like it’s debt by 1,000 little cuts. I happen to live in one of these fancy-pants neighborhoods where people put up incredible holiday lighting displays. 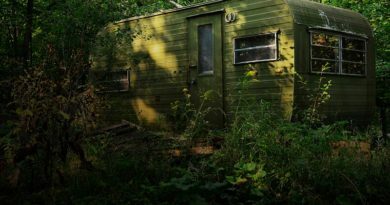 It’s a typical suburban neighborhood where people drive to work every morning to put food on the table, pay the mortgage, and try to provide a decent life for their kids. The homes in my area sport A TON of holiday lights — Literally thousands of little lights burning-up energy all night long. Literally, from dusk until dawn (and sometimes they’re even kept on all day)! Are you trying to replace the sun? Is your holiday light display burning a hole in your wallet? While LED lights have improved the waste situation somewhat, a typical string of LED lights still burns about a $1 in energy a month. Multiply that by a couple dozen strings of lights and you’ve reached $20. Not exactly a huge amount of electrical waste, but there’s literally millions of these lights out there world-wide burning up energy into the night — all to shine light on empty streets. Photons mostly unseen by human eyes. Do I even need to mention all the unnecessary carbon that’s put into the atmosphere? Do you have one of those ugly holiday sweaters you bust-out for Christmas parties? You know, that sweater that’s so ugly you won’t wear it any other time of the year? Yeah, THAT sweater. That ugly sweater is waste. 99% of the year that fugly sweater will sit in the closet collecting dust… until that one day a year you wear it. 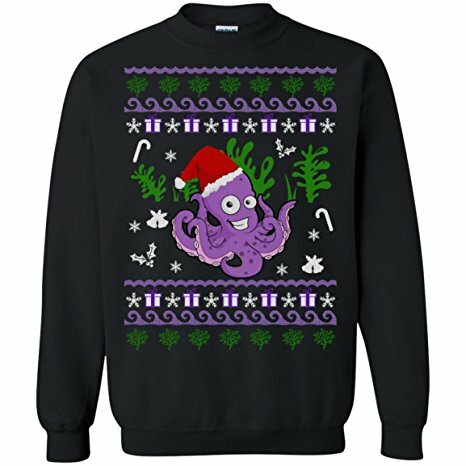 Everybody needs an ugly octopus sweater to rock those Christmas parties, am I right? Imagine that was your money collecting dust instead… not earning any interest and providing very little utility in return. You’d probably feel like that money was wasted. In the form of a sweater it’s no different! Some people even throw-out the Ugly Sweaters after the holiday parties are over. That’s even worse! While clothing styles change from season to season, there’s absolutely no excuse for a “single use” piece of clothing. There’s never a more guilty feeling than when you open a gift on Christmas morning and realize you don’t want it. Is one of these gifts a meat grinder for the vegan in your life? If you’re an especially good actor or actress you might even fake a few tears of joy… but as soon as you go home you know it’s either going into the trash or the donation pile. Such unwanted gifts are a form of holiday waste. We can’t talk about the holiday’s without talking about food. Food is a major part of Christmas and New Year’s, and there’s usually LARGE amounts of it. No matter how good intentioned a holiday feast might be, there’s almost always something that goes to waste. Maybe this year it was Aunt May’s 7-layer dip that tasted absolutely disgusting, or that fruit cake nobody ended up eating… food waste is frighteningly normal during the holidays. Almost as frightening as Aunt May’s 7-layer dip. Something always goes to waste during the holidays. The fruitcake hardly gets touched at the parties I go to. Most people shrug this off as “only a couple dollars” and consider food waste as “no big deal”, but collectively hundreds of millions of people end-up wasting just as many millions of dollars on food that’s eventually thrown out. 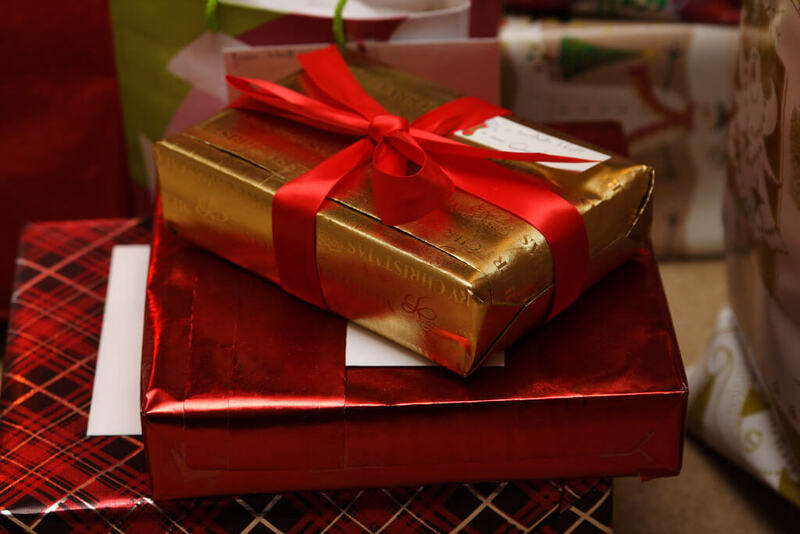 Have you ever attended a White Elephant Gift Exchange? This kind of party game is played during holiday parties, and the entire idea is to trade a useless gifts that nobody wants. Usually it’s some kind of useless kitsch or disgustingly ugly decoration, but occasionally there’s something OK like a candle or a cutlery set. Most of the time, there’s no utility to be found in this activity (other than swapping junk). At best, you can save that elephant gift for next year’s party and dispose of it there. 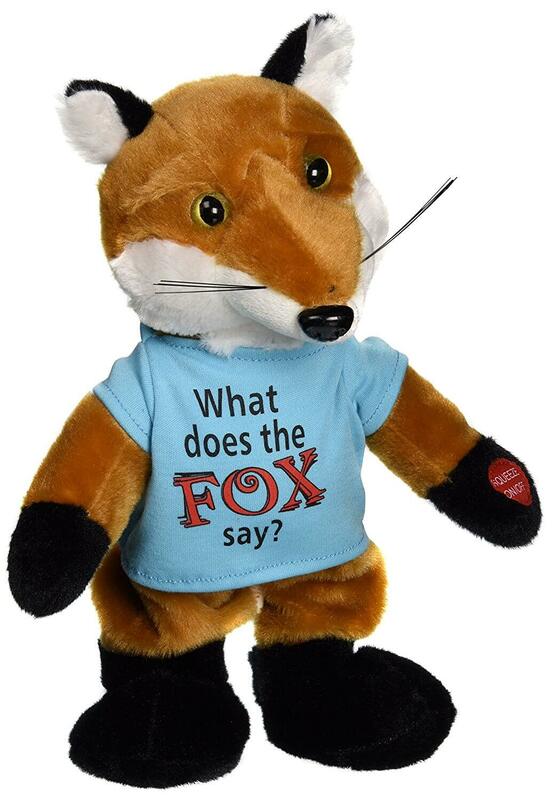 I have friends that have been passing around this same stupid dancing fox for years. The aforementioned dancing fox. I’ve seen this same white elephant gift four years in a row! Do you wrap your holiday gifts in colored wrapping paper? It’s very common. Perhaps you’ve seen the HUGE amount of paper and packaging that stuffs the trash bins of suburban homes after Christmas? It’s crazy how much waste Christmas creates. In our neighborhood the trash and recycle bins are overflowing on Christmas day, with cardboard boxes and holiday wrapping paper bulging out over the top. After a good Christmas, the wrapping paper and packaging gets thrown in the trash. What a waste! The biggest problem with holiday wrapping paper is that it’s not reusable! Holiday bags are slightly better in this regard (they can be reused), but I still see people throwing them out all the time. Do you hang your stockings from the chimney with care? With this particular form of holiday waste I feel obligated to uphold as fealty to the great Santa hegemony. Jolly old St. Nick has us (literally) by the socks! My kids would probably murder me if Santa didn’t come to visit… but I often wonder, “Why does a holiday gift need to fit inside a giant sock?” Isn’t that weird? I think many parents end-up filling stockings with all kinds of unnecessary junk just maintain the holiday tradition of “the stockings hung with care”. Do you buy a holiday tree every year? I have friends that buy a live tree every year along with fresh wreaths for the front door. By the time January rolls around, the tree is very dead and the wreaths are looking really shabby. Like other forms of holiday waste, it all ends-up in the trash sometime in January. This one I consider a toss-up because live trees are actually a renewable resource, whereas a fake tree is usually made from some form of plastic that isn’t renewable. Our reusable Christmas tree. The and everything on it werely entirely free. However, the topic isn’t as cut-and dried (see what I did there?) as you might think — I happen to know a Christmas tree farmer (it’s a common industry here in Washington State) and I’ve seen how the industry works. While the trees themselves don’t often need chemical fertilizers, the planting, harvesting, and shipping process burns A LOT of fuel. Diesel engines are burning constantly during tree harvest time, and often they use a helicopter to harvest the trees. Yes, fuel burning machines actually fly in the air to harvest your Christmas trees. Once the harvest is done the trees are shipped (usually by a diesel burning truck) to the sale location. It’s a far less green industry than you might think. Do you purchase a nice printed holiday card for friends and family? Some people still do this! Like the many of the other forms of holiday waste, these eventually make their way into the trash. If I sent out a holiday greeting card it would look just like this… but we don’t do cards!! While some people have switched entirely to digital cards, proponents of physical holiday cards argue that they feel less “personal”. Can’t argue with that! While I’ve tried to detail many of the more common forms of holiday waste here, there are still TONS more. When it comes to the holidays there are plenty of ways to waste. But that’s my point — Individually, none of this holiday waste is considered a “big deal” culturally. Most of these forms of holiday waste amount to $20 or less. Small potatoes, right? That level of spending gets a solid shrug of indifference from most middle-class families. Collectively though, the total amount of combined waste is much greater than we imagine (and far harder to see unless you track your finances carefully). Bottom line, while we tell ourselves “it’s not that much money”, waste is still waste. All of those little credit card charges add-up during December… eventually to a very large bill. According to the news reports on holiday spending, 16% of American families will take 1 to 3 months to pay-off holiday spending, and many will take 6 months or more. That’s a big holiday credit card bill! This is what I call “Debt by a thousand cuts”. Individually it’s hard to say “no” to each little holiday spend, but collectively it can grow to be a big problem. I’m not suggesting you say “Ba-humbug!” and forget about the Christmas spirit of course. Holiday waste is a very personal thing. What is considered waste to one family might be an important part of the holiday celebration for another family. Maybe in your family that means lots of packages for the kids. Perhaps you like the smell of a fresh cut tree in your house. Or, it could be as simple as enjoying a fancy drink as part of your celebration. How you enjoy the holiday is entirely up to you! You control the spending AND the waste. Our family has been trying to find ways to reduce holiday spending for years — like using a free reusable tree, hand-me-down gifts, and not sending out annual holiday cards. We’re not perfect, but we try to keep it under control. Last year’s holiday spending was barely noticeable in our December 2016 expenses! We simply focus on the parts of Christmas and New Year’s that bring us the most holiday cheer! 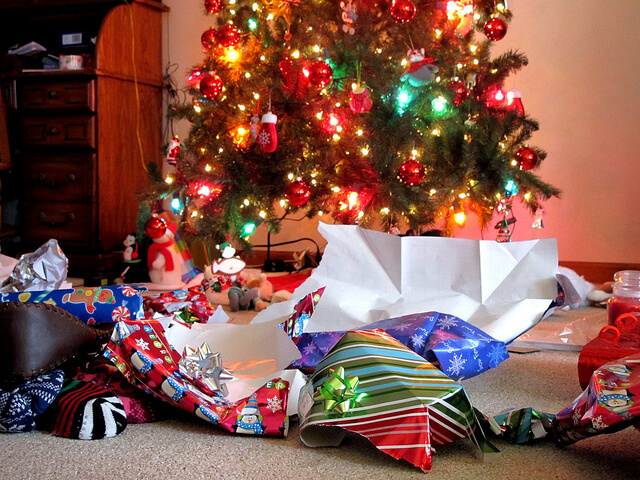 Now it’s time to ask the readers — What’s your favorite form of holiday waste and how much does it cost you? Wow, we must have had the same brand of beer last night Mr. Tako. I just published a post about Holiday waste about 15 minutes before you did! Although mine only covers the gift-wrapping and food aspects, since I personally think those are the most egregious. I like your “debt by a thousand cuts” point of view though, it does all add up!! Great post! Thanks Accidental Fire! Great minds think alike I guess! We have some ridiculous light displays in my neighborhood. In fact, one neighbor has a setup that you can tune into a local radio station to listen to choreographed music with the light show. I love the octopus sweater hahaha. We do eat the gingerbread house, though it is been a few years since we’ve been to a house making party. I have been using the brown paper that comes as packaging as wrapping paper lately, and we reuse gift bags that people give us. I also refuse to do lights and the years we Christmas at home we get a rosemary bush cut in the shape of a tree which we then plant outside. 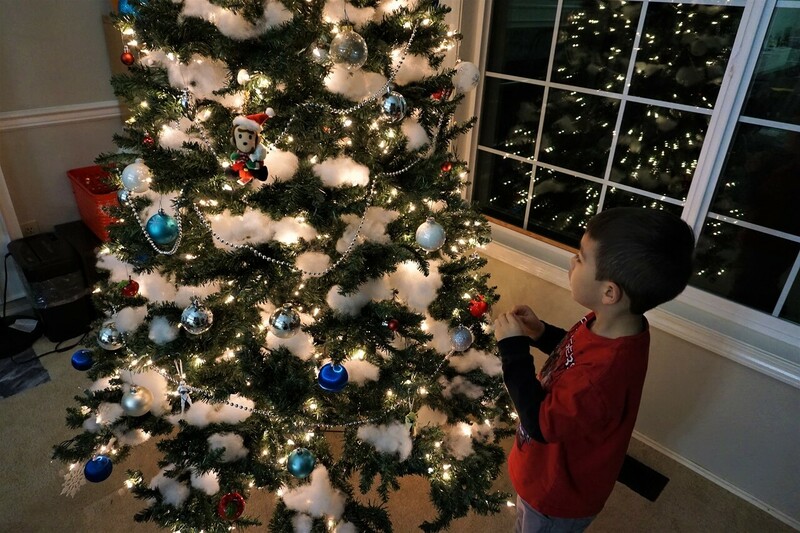 Years we Christmas elsewhere we have a felt tree that we put on the wall. I don’t do these things for money reasons but for planetary reasons. A rosemary bush! What a clever idea! It sounds like you guys are well on your way to cutting back on Holiday waste! What’s good for the planet is often good for our pocketbooks too! Our biggest holiday expense is traveling to see family. Thanks to credit card hacking and using miles, we are saving $6,000 (thanks FI blogs!) on airfare to see our down under relatives this year. Most years we fly after Christmas or on Christmas to see our US family. This and sending out Christmas cards are our holiday expenses. I’m realizing that being happy and FI is knowing what is worth spending your money on. Wow, $6000 is a lot of travel hacking savings! That’s a very impressive number! I think you’re dead-on SAHM, there’s a million ways to “waste” money but knowing which way to “waste” that brings you the most happiness is key! We still make our British Christmas Cake each year but the key is it has to be made several months in advance and needs to be soaked continuously in alcohol. 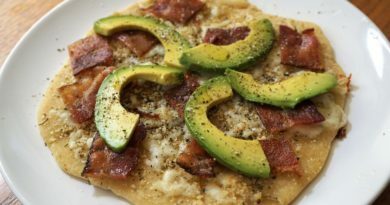 By the time you eat it it’s basically a booze delivery system. However to bring it back on topic it’s not exactly cheap. But it’s still cheaper than all the shop bought over expensive treats you see in the mall. Hmm… I wonder if British “Christmas Cake” is somehow different from the fruit cakes we have in North America. Boy don’t get me started with ugly Christmas sweaters. I was at The Bay last month and saw some on sale for like $69.99. I mentioned to Mrs. T that was a ridiculous price to pay for an ugly sweater. Then a girl walked by and commented to her mom that the sweaters were cheap. $70 for a sweater you’ll wear once or twice? Yeesh! I don’t have much problem with local light displays, mostly the strands are re-used and the energy waste is pretty minimal. Sadly, the ‘over the top’ displays are catching on internationally, so maybe it is more that we Americans set a bad example and TV contests (the Great Light Fight) turbo-charges the worst in our nature. Like many problems, we are victims to our primal instincts and past – wanting to brighten the night and feeling inadequate / wanting to out-do our parents. Probably the more immediate issue (than holiday energy waste, I agree with you on physical waste but that is more easily solved) is how coal is being leveraged for Bitmining (https://motherboard.vice.com/en_us/article/ywbbpm/bitcoin-mining-electricity-consumption-ethereum-energy-climate-change). I think a lot of people discount how much the waste ads up collectively…which was the entire point of my post. One house probably only wastes $15-$50 on the cost of extra lighting electricity, but multiply that by a billion people and we have a serious problem. There was an ‘ugly sweater’ gathering at work a few years ago. I refused to spend $20+ for a sweater, but I did get a long sleeved shirt with a kitten, & glitter that says something like Meowy Christmas, for under $10. I’ve worn it every year since. The cat looks like my sister’s, so I wear it for her Christmas eve. I know some municipalities collect trees after and turn them into mulch. We were pressured into a Secret santa gift exchange this year. Unfortunately we only had 3 days. You kinda hope the person knows you. I got a gift card. What was going to be a pot luck became a dessert exchange / extravaganza / display of gluttony. 2 bunt cakes (store bought), a home made cake, brownies, store bought cookies, an eclaire pie, 2 boxes gigantic donuts, and assorted dessert box, a box of mixed cookies, one of those popcorn samplers, a giant choxolate chip cookie (pizza sized) iced saying ‘Happy Holidays’, a coconut custard, and I baked cookies. We were begging people from other departments to eat stuff. 1 gal ordered cupcakes but didn’t pick them up due to how much stuff we had and people leaving early for snow closings because of snow. I brought my cookies home with me, but I’m sure some of that got trashed. I try to do gift bags and reusable boxes, even though those get wrapped in paper. I don’t have a lot of big presents this year, so maybe that’s less paper? Happy Holidays to the Takos! Thanks Jacq! Happy Holidays to your family too! Wow thank you for such an honest post, Mr. Tako! My neighbors also put up lots of Xmas lights. On the one hand, I enjoy look at them since they make the community look so festive. On the other hand, I can’t help but think about how much electricity is burned every night. I don’t like fruit cake either. It’s too sweet. Not sure why people still buy it, but it’s not popular at my office parties either. 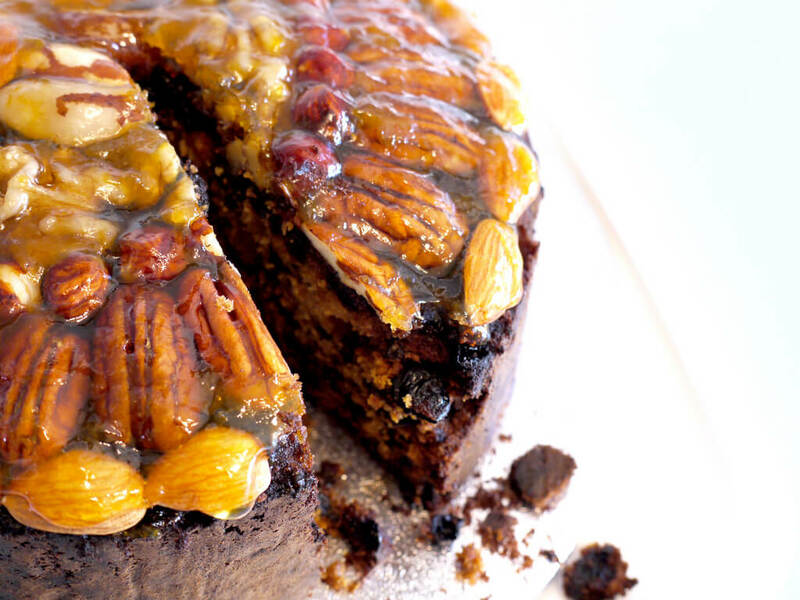 I’ve met very few people that like fruitcake, but there’s still TONs of it sold every year. This is what I call “cultural waste”, the inefficient parts of our culture that either nobody notices or nobody criticises. The Holiday’s have a lot of cultural waste. Instead of x-mas and bday presents for kids, we’ve been giving silver coins. At first, my wife and I were worried that our friends and family would think we were weird. Instead, we’ve heard from a lot of parents who thanked us for not giving them additional stuff. I could be wrong, but I think people want to reduce waste – the peer pressure is what gets em! Keep being a “no waste leader” Mr Tako! Thanks Mr. Fired & Free. We’re doing our best to reduce all the holiday waste — right now I’ve got a fridge loaded with leftovers we need to eat up! That’s my goal for next week — completely polish off the holiday party leftovers so we don’t end up throwing any in the trash! That’s a huge light display that your neighbour has! It’s hurting my eyes lol. I didn’t get any wrapping paper this year and just used old wrapping paper and bags. It kind of looks gaudy but meh. People still send Christmas Cards?? You are so right about the waste, I am guilty of a few of the ones you mentioned but try to control it as much as I can. If you are going to do stockings, here’s a suggestion – fill it with “necessities!” My husband’s parents would always use the kids stockings as an opportunity to “gift” socks, underwear, toothbrushes, and school supplies for the next semester. There would usually be a “treat” too (like a pack of gum or tic tacs). I feel a lot of that waste can be avoided and people can still enjoy the holiday. Wrapping paper: We’re those crazy people you sometimes see, who actually try to not tear the paper to pieces, so we can reuse it the next year. My mother used to do that, I do that. Nobody minds. Actually,, it brings variety under the Christmas tree as years go by, since you have more and more diverse wrapping papers. I’m torn on Christmas lights though: I do understand they burn a lot of electricity, but to me they are a huge part of why I like Christmas. It’s a way of getting light/joy back in one of the darkest periods of the year (in terms of sunlight). 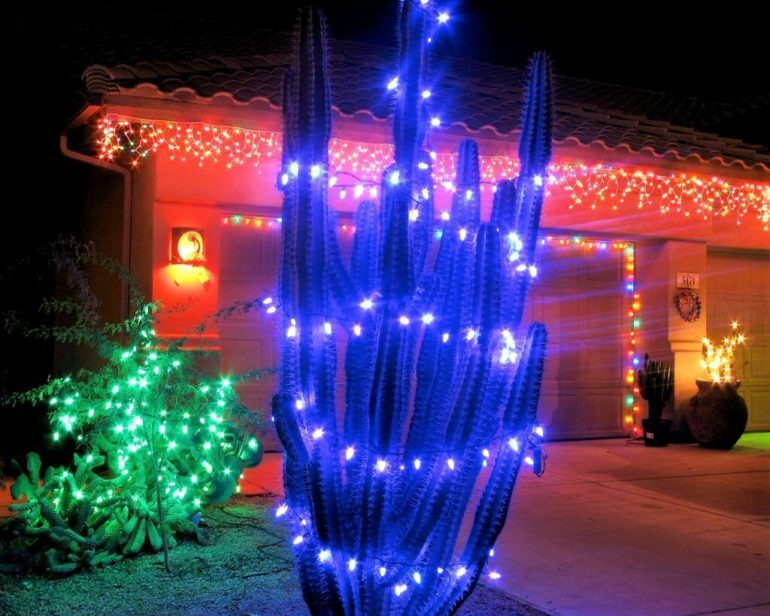 I’d be sad if there weren’t at least a few neighbors to show some of those lights during the holiday. I certainly like Christmas lights and the holiday spirit they bring along to us, too! At our house, we still let our boys decorate our free-on-free tree (free fake tree with free decorations), and let them take turns on lighting it up each night, and only at night once sun is gone 😉 — Clever Tako Jr. #2 tries to convince me he can turn on the light in the morning, now that our morning is pretty dark… Every night after they go to bed, either Mr. Take or I unplug the tree. Meanwhile, our neighbors keep the lights on over night, some even during the day! We actually enjoy taking evening walks around the neighbor to enjoy the lights and decorations, while discussing what we like about each decoration. Very grateful for our neighbors to entertain us without having us spend money and letting our kids still have nice holiday experiences. Certainly not before having a child. Now I’m growing more numb when it happens. But the article is good, there is a lot of waste that happens that could certainly be trimmed. It’s like a wedding but on a smaller scale, and recurring annually. 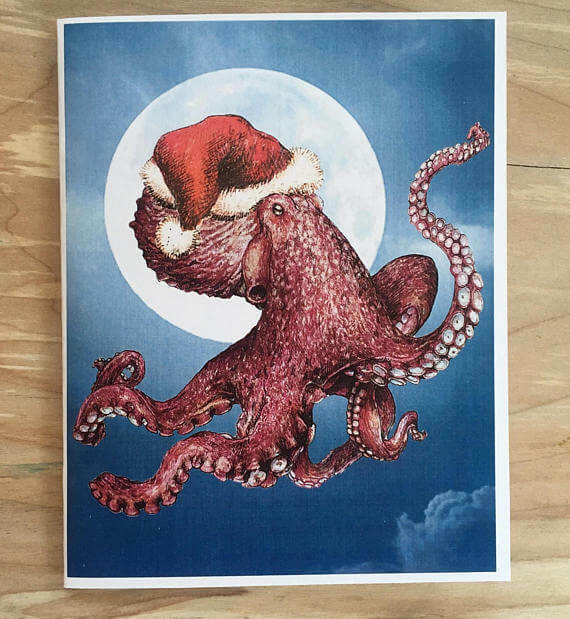 I really like the Octopus Christmas card! Thanks Mike! I feel like we waste a lot more now that we have kids too. We’re working to stop that, but it’s a challenge! Seriously, there is a ton of waste involved in Christmas as you noted. But I also think that a little excess is fine, so long as it’s a once a year thing rather than a year-round thing. I knew someone was going to give me a “humbug”! I didn’t expect to be you Done bye Forty! Oh I love this post. It is so spot-on with how we feel about what’s become the Buy, Buy, Buy season. We have a potted Norfolk pine tree we decorate each year as our Christmas tree. We call it our Charlie Brown tree. Our kids are in college and if they need something during the year we buy it then. They would much rather travel than have gifts, so we usually spend on experiences rather than things. A few years ago we all decided not to buy gifts at Christmas. This way we can just enjoy being together as a family and cook meals together without the stress of trying to figure out what to buy for each other. My Mom loved the idea too. She’s spending Christmas with us and she’s baking some family favorites to share. We don’t bother to put up lights, but I do enjoy my neighbors holiday displays. I think we were guilty of all the things you mentioned when our kids were younger though. It’s not only the financial waste, but also the environmental side of things that I don’t like around this time of year. I don’t mind the light, but put them on a timer or something. We all could be doing so much better on many fronts. Force of habit I guess? So true! My neighbors should totally have a timer on their lights. There’s absolutely no reason why they need to be on at 3AM. To avoid some of that waste, which you nailed as usual Mr. T, we have cut presents to only the immediate family and we are very specific about what we actually would enjoy so the gifts are usually spot on. In fact my wife and I buy our own gifts and give them to each other to wrap with maybe one or two surprises thrown in. But we don’t have grandkids so who knows what that might do to things some day, Yikes! This year we reused bags and wrapping paper. Our tree is plastic and about 7 years old so we are at $3/year for usage this year. Our ornaments were presents or very, very inexpensive. We have older kids now, so they get stuff they need clothes, toothbrushes, make up. We only purchase stuff for the 8 year old. I was not raised celebrating Christmas…so it does not have the commercial pull that it does others. We keep the focus on family. I will add, I was going to get rid of my youngest sons older toys when I remember that my 20 year old plans on having kids within the next decade. I decided to hang on to them, remembering that is what your parents did with yours. How one “does” Christmas is very dependent, I think, on whether one has young children in the family or not. We are older and so we do Christmas as we wish. Therefore we don’t generate much waste as neither of us are particularly “into” Christmas. If there were young children around I would feel compelled to decorate more, have more food in, and do more gift exchanges! We definitely do more Christmas stuff now that we have kids too. Good point Susan! My family likes fruitcake so I make it from scratch each year, without the nasty red and green cherries! 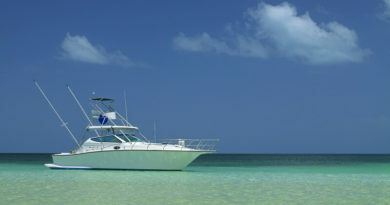 What most people hate is likely been mass-produced and not been properly soaked with rum or wine. By January 3rd I thinly slice and freeze what is left, (the alcohol and proper wrapping keeps it from getting freezer burnt), and finish it usually by April. We are always striving for zero food waste. We also stopped exchanging gifts and do stocking stuffers only, but stuff we will actually use like dried fruit, nuts, gift cards to the movies, and good quality chocolate. None of it needs to be gift wrapped as it’s hidden in the stocking. The one thing I do spend money on is Christmas crackers. I would like to find a way to make them out of recycled materials going forward. I’ve started keeping an eye out for materials I can re-purpose. Great post. I’m a frugal save by nature so I agree with everything on the list. The one that gets me are the xmas lights. Hard to understand in this day and age that people leave them on all the time when I try hard to minimize my energy use…seems pretty wasteful.